Over the last five years, marketing automation has seen the fastest growth of any CRM-related segment – and with good reason. According to Sirius Decisions, average sales cycles have increased 22% over that same time period, in large part because there are more decision makers involved in the buying process than ever before. Today’s customers are connecting with your brand throughout every step of the sales funnel. Some are regular customers, others are non-committed prospects, and some may have forgotten about you for now. With so many customers in so many stages of the buyer’s journey, managing customer engagement can feel a lot like juggling. How do you manage it all without dropping the ball? Marketing automation makes it way easier. At its most basic level, marketing automation involves the use of tools and workflows to automate various marketing processes. This can be especially helpful for repetitive tasks, such as webinar signups, email nurturing campaigns, or an email autoresponder online course. Instead of manually performing each task associated with a project, automated marketing tools can help segment lists, perform A/B testing on a marketing campaign, or simply share your content across multiple social media platforms. It’s a great way to streamline your marketing efforts – but it should never be considered a substitute for connecting with your customers. Marketing automation is not a “set and forget” tactic and it shouldn’t be mistaken for a robotic replacement to customer engagement. Rather, the goal for marketing automation is to simplify your marketing process while keeping your customer experience consistent - not blasting your customers with endless, impersonal communications. 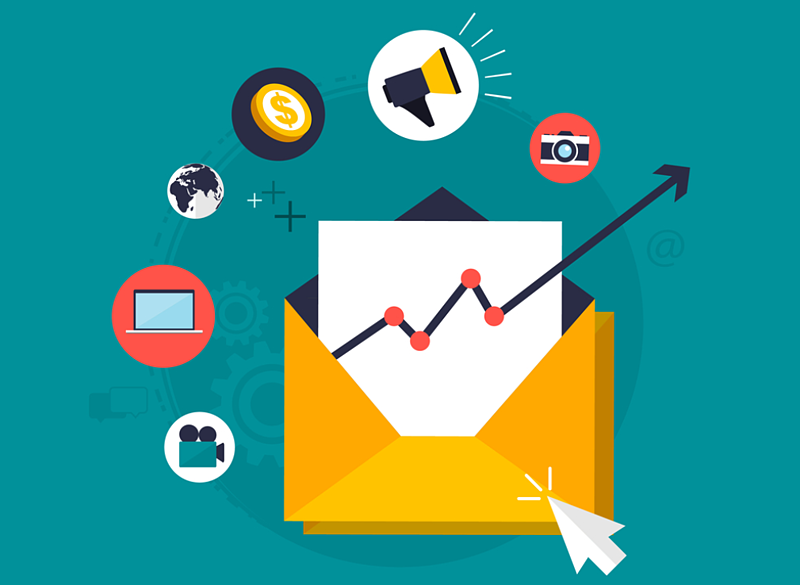 As your company grows, so does the importance of a solid automated marketing strategy. Simply put, it’s what helps you scale your marketing approach, making growth possible. It also comes with a wide range of other benefits, from improved customer retention to decreased operational expenses (or, better reach for less cash). Communicating with potential customers can be tricky. Marketing automation helps you reach them at the right moment in the sales funnel because it provides precise information on the quality of each lead. This way, you can deliver relevant and targeted content directly to them when they’re ready for it. For instance, you’ll know if a prospect has read a blog post or subscribed to a newsletter, which leads to a more accurate list of leads – which means a more solid lead nurturing strategy. As your leads accumulate, automated marketing tools can help you manage your list and engage with your prospects as they progress through the sales funnel. Marketing automation can also cut down on the conversion time between a prospect’s initial connection with your company and the time he or she closes. Because you can connect with leads more quickly (and at the exact time they’re most likely to buy), you can turn prospects into customers far faster than by manually chasing down leads. And with nurtured leads making 47% larger purchases than their non-nurtured counterparts, that can make a serious difference to your bottom line. We use the word “workflow,” but does your work really flow? We’ve all forgotten to email a prospect or segment a customer list. Human error is an unfortunate part of the marketing process, especially when repetitive tasks are involved. Marketing automation helps reduce those errors and streamline your workflow by creating a system in which multiple goals, tools, and team members connect seamlessly – no manual cues required. By implementing workflows as a part of your marketing automation strategy, you can trust that the things that should be happening are actually happening. Then, it’s up to you to review and manage the data. Think of it like setting up automatic bill payment with your bank. You can have confidence that you won’t miss any payments, but it’s good to keep an eye on things, just in case. Marketing automation has an immediate impact on the time your team must dedicate to repeat tasks. In fact, after you calculate all the time your team saves on formerly repetitive work (try using a time-tracking tool like Harvest), your operational costs will likely be the first place you’ll see a significant cost reduction. That’s not the whole of it, though. Gartner, Inc., a leading research firm, revealed that companies using marketing automation saw their revenue increase an average 10% over the course of six to nine months. By cutting operational costs and improving efficiencies, automated marketing can help you allocate your budget toward more impactful marketing initiatives to drive better customer engagement – and better sales. We all know that it costs more to attract new customers than to keep the ones you currently have. With marketing automation, you can retain customers by using data-driven insights into customer preferences and motivations to your advantage. For example, if you notice people in one part of your sales funnel converting more on a specific page, you can replicate those results on other similar pages. By learning your customers’ behavioral patterns, you can better predict the factors behind their decisions and tailor your marketing efforts accordingly. With marketing automation, you can more easily monitor the success (or failure) of your marketing campaigns. Rather than rely on a team member to manually update a spreadsheet with sales figures at the end of a campaign, automated tools constantly compile that data into reports you can access at any time. This helps you determine what’s working and adjust what isn’t on the fly, for more effective marketing campaigns at every stage. Content promotion can be challenging to keep up with, especially as your business grows. Automated tools make it easier to put your content to work for you by sharing it across numerous platforms. 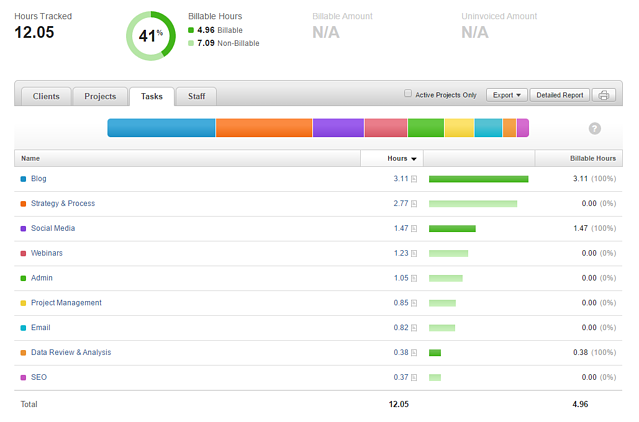 They can even help you manage your responses as prospects and customers engage with the content. Beyond that, marketing automation makes it easy to collect and analyze data, which you can then use to develop more of the content that’s resonating with your audience and generating leads. It’s a perfect companion to your content marketing efforts. Depending on the tools you choose to use, marketing automation makes it possible for your less technologically-inclined team members to contribute to your marketing efforts. Most automation tools are incredibly user-friendly, which helps in scaling your team up as your business grows. A lower barrier to entry means you can more easily grow your team without losing traction in your marketing and lead generation initiatives. Welcome. The welcome email is a critical part of any communication strategy. Hootsuite, a social media automation company, makes it easy for first-time customers to get set up via their welcome email. Please come back. Many companies use “win back programs” to reconnect with customers who haven’t purchased from them in a while. These emails often combine a reminder of a left-behind item in the customer’s virtual shopping cart with a special deal to incentivize a purchase. Thanks for being a customer. Remembering a customer on their birthday or anniversary is a classic way to keep them engaged. TheSkimm, a newsletter that updates recipients on relevant news, sends an email on the date a reader signed up, asking a favor and including an offer. How’d we do? After making a purchase from a vendor on Amazon, many customers receive an email that encourages them to rate the product and the experience. Amazon also asks for input about other things, such as product packaging. Please don’t leave. Graze, a company that sends snacks by mail, will offer a discount or free box to a customer who has indicated a desire to end their subscription. We have a sale. Jo-Ann, a craft supply store, sends out text messages or coupons via mobile devices at least once a week to let regular customers know about deep discounts. Sorry to see you go. Urban Outfitters has a clever email they send when someone wants to unsubscribe from their list. It mimics a dating breakup on a mobile phone to encourage the customer to stick around. You’ve probably received these types of emails or messages from businesses before. They are usually just trying to encourage you to make a purchase and then, over time, ensure that you’re still an active customer. These messages are all examples of marketing automation at work. After all, it would be nearly impossible to manage these communications manually, especially as your company continues to grow. Once you get used to automating your processes, you can get a little creative - and more specific. For instance, let's say a contact who's already in your database has visited your site several times and even took a look at your pricing page. 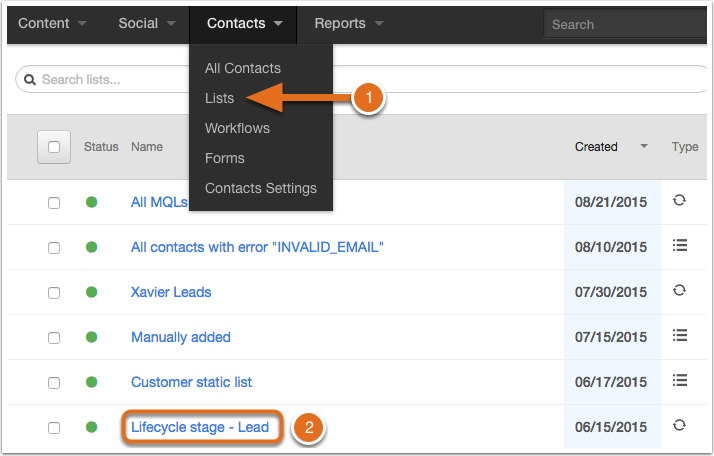 By setting up a workflow, you can send the prospect an automated email offering to answer any questions they may have. This way, you can build your relationship with the prospect while gaining insight into why they left the pricing page without taking any action. Some of the marketing automation tools available to you are extensive and provide a huge suite of options to automate your efforts. Others focus on specific aspects of marketing automation (like social media or customer relationship management), likely making them one of several tools you would use for broad marketing automation coverage. 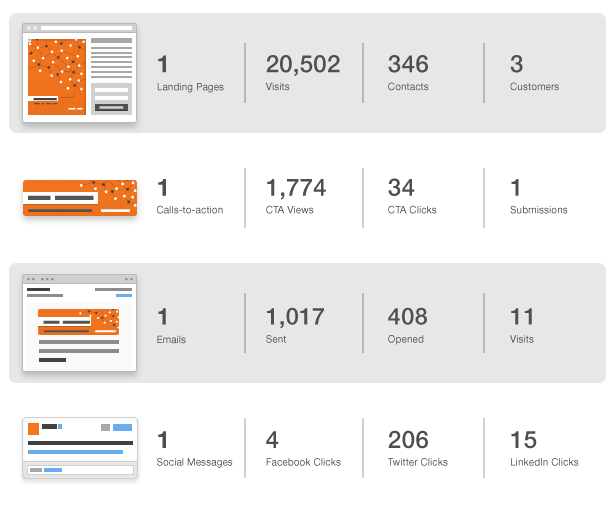 HubSpot specializes in integrated inbound marketing and sales. The software uses data to fine-tune how and when businesses connect with customers in the sales funnel. It’s known for how it collects and provides data for businesses to base their marketing decisions on. Not only that, but it’s a great hub (get it?) for managing the different aspects of your marketing campaign – including your blog, workflows, contacts, social media, and more. Highly recommended – this thing is a lifesaver. Marketo is marketing automation software that targets two key concepts – lead scoring and lead nurturing. Lead scoring assigns points based on actions taken by a customer that help you understand where the person is in the buying stage. 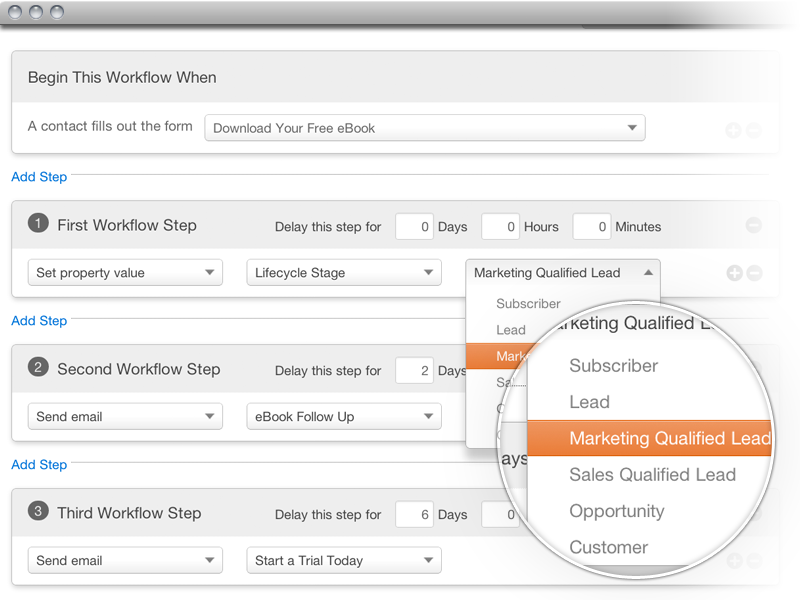 Lead nurturing is all about prompting a prospect further down the sales funnel to take action. Salesforce offers a variety of marketing automation options, including customer relationship management (CRM), support, and social media monitoring tools, among others. 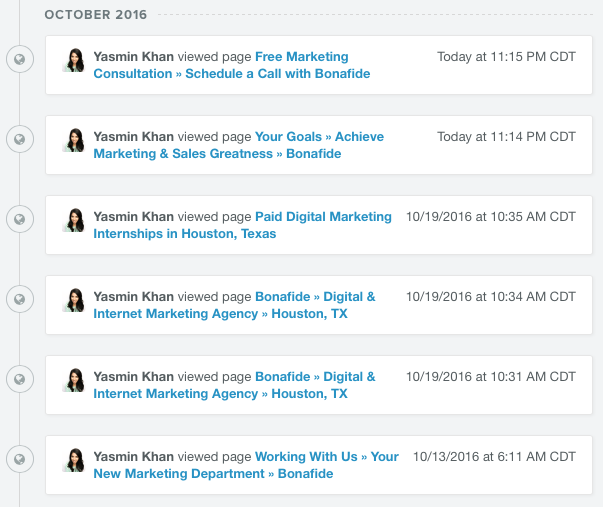 CoSchedule is an editorial calendar that helps you plan, create, and consistently share and promote your content. It removes the repetitive and time-consuming aspect of having a strong presence on social media while also allowing you to measure how well your content is performing on those channels. Automated marketing is the direction both you and your customer are headed. By 2020, customers will manage 85% of their relationships without ever talking to a human. If concern over seeming like a “robot” has held you back from embracing automation in your marketing efforts, now’s the time to rethink your strategy. There are ways around this! By incorporating marketing automation into your plans, you won’t just streamline your workflow and improve your customer engagement – you’ll find it easier than ever to improve your ROI, as well.